YouTube has taken the exclusive rights to an animated series from the production arm of toyco Mattel for the first time. 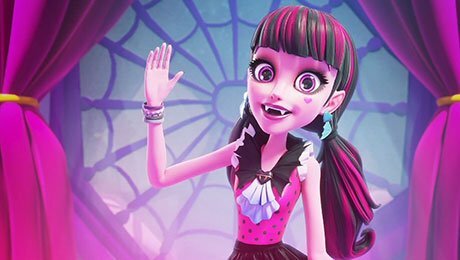 New episodes of Monster High: The Adventures of the Ghoul Squad (10×11′) will be made available on YouTube and the YouTube Kids app weekly later this year. Produced by Mattel Creations, the series will be supported by a 44-minute special that will be available to broadcasters and SVoD platforms. The show follows an elite squad of talented ghouls who make a pact to always be there for each other and their fellow monsters, no matter the odds against them. It will be available in English, French, German, Lat Am Spanish, Brazilian Portuguese and Russian. YouTube Kids is currently available in 26 countries and earlier this week the video-sharing platform revealed four original children’s productions for its subscription service YouTube Red. “At Mattel Creations we have a clear understanding of where our audience are most likely to engage with our content, and by creating content specifically for YouTube and YouTube Kids, we are recognising that series content is not just for linear or SVoD,” said Mattel chief content officer Catherine Balsam-Schwaber.